Plastic pens printed with logo are one of the all time classic promotional items. 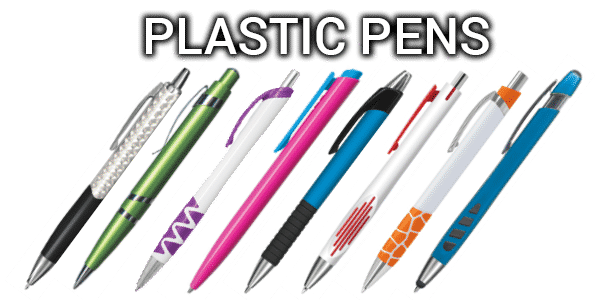 Available in hundreds of styles and colours plastic pens are almost unbeatable when it comes to providing a useful personal gift without blowing the budget. Metal promotional pens make sense if your company is wanting to present a gift to staff and business contacts which will stand the test of time. They are a gift which suggests permanence and strength and with the extended life span expected a long term relationship. Laser engraving can be used to create a relief of your logo by removing the upper layers of the pen barrel to permanently mark it with your logo or message. No amount of scratching or wear and tear can remove the branding from an engraved metal pen. Novelty pens are just some of the fun promotional pens available for bulk purchase with the more you buy the less you spend per pen! 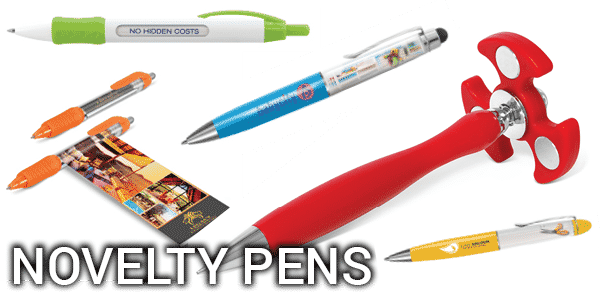 These affordable pens are fun with just the right amount of charisma to attract the people to your business name and logo, which can be printed on the side of each pen. These promotional pens will keep you within your budget and won’t disappoint when the time comes to get results for less. 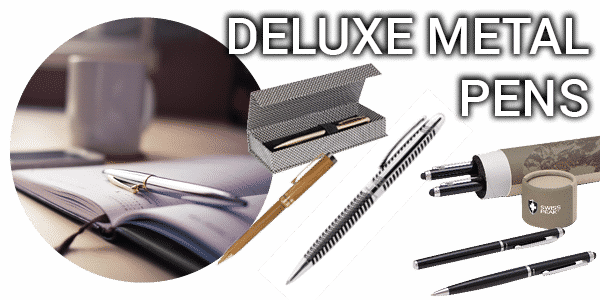 Deluxe Metal Pens are your answer to a successful but affordable marketing drive. With quality silver, gold and pearl metal pens available, these metal pens have enough promotional potential to bring heaps of new business to your company. They will add a touch of class to your next big marketing campaign, or can even be given to employees. Swiss prodir writing pens offer various collections at least one of them will represent and enhance your brand’s values. 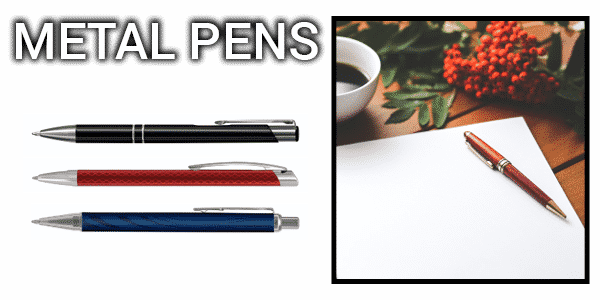 Every one of our printed pens and writing instruments has its own character and values that express its uniqueness, making it a work of art, a source of inspiration, and the best messenger to support your image. The range of Prodir customized writing instruments are unique and all have countless opportunities for customization that each of them can offer you. You will be amazed!